Discovery Channel is on a mission to uncover the secrets of Egypt in a history-making television event, Expedition Unknown: Egypt LIVE and Australian viewers will be able to be watch LIVE with the rest of the world. 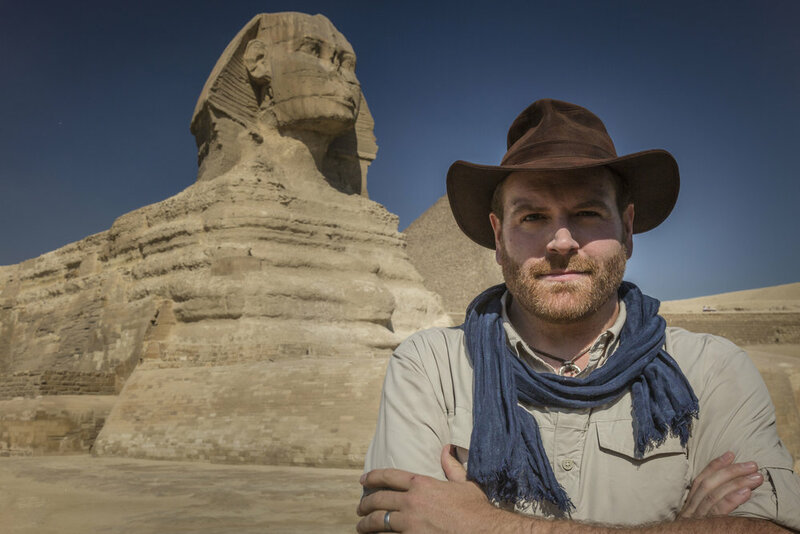 This 2-hour LIVE broadcast from Egypt, hosted by adventurer and avid explorer Josh Gates, will search for ancient artefacts and open a sealed Egyptian sarcophagus for the very first time – uncovering history that has been buried in the sands for millennia! Expedition Unknown: Egypt LIVE will explore a 3,000-year-old tomb and underground network of tunnels and passages, uncovering ancient artefacts. Josh will be joined by a team of top experts including world-renowned Egyptologist Ramy Romany, who has dedicated his entire career to uncovering rare artefacts using the latest technology, Egyptologist Dr Zahi Hawass and Mostafa Waziri, the secretary-general of the Supreme Council of Antiquities of Egypt. TV personality Chris Jacobs completes the all-star lineup. A modern-day Indiana Jones, Josh Gates has been taking viewers around the world and off the map for thrilling investigations into history’s most iconic legends in Expedition Unknown on Discovery Channel. Travelling to some of the most remote corners of the planet in immersive, hilarious, and nail-biting journeys of discovery, it’s his unique brand of humour and passion for exploration that has viewers tuning in and on the edge of their seats. Josh has filmed in the infamous tomb of King Tut, as well as the sprawling temple of Angkor Wat. His team made headlines after spending a night in the shadow of the world’s worst nuclear accident at Chernobyl. A mysterious “Yeti” footprint recovered by Josh in the Himalayas is now on display at the Expedition Everest attraction at Walt Disney’s Animal Kingdom in Orlando, Florida. Expedition Unknown: Egypt LIVE airs Monday 8 April at 10:00am AEST. Discovery will also air a 60min encore of the event, Tuesday 9 April at 9:30pm AEST.